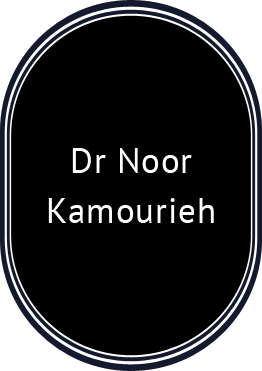 Dr Noor Kamourieh graduated from the University Of Birmingham School Of Dentistry. Noor thoroughly enjoys attending post graduate courses to stay up to date with current techniques in dentistry, with a keen interest in dentures and minimally invasive restorative and aesthetic dentistry. Noor has completed the Chris Orr Aesthetic Restorative Dentistry one year course and enjoys all aspects of dentistry. Noor has a gentle and supportive approach and strives to provide preventative, minimally invasive care ensuring her patients feel at ease. Outside of dentistry, Noor enjoys travelling, spending time with family and friends and playing tennis in her spare time.